Tiger Woods and Nick Faldo prepare to tee-off during the second round of the 2006 Open Championship. 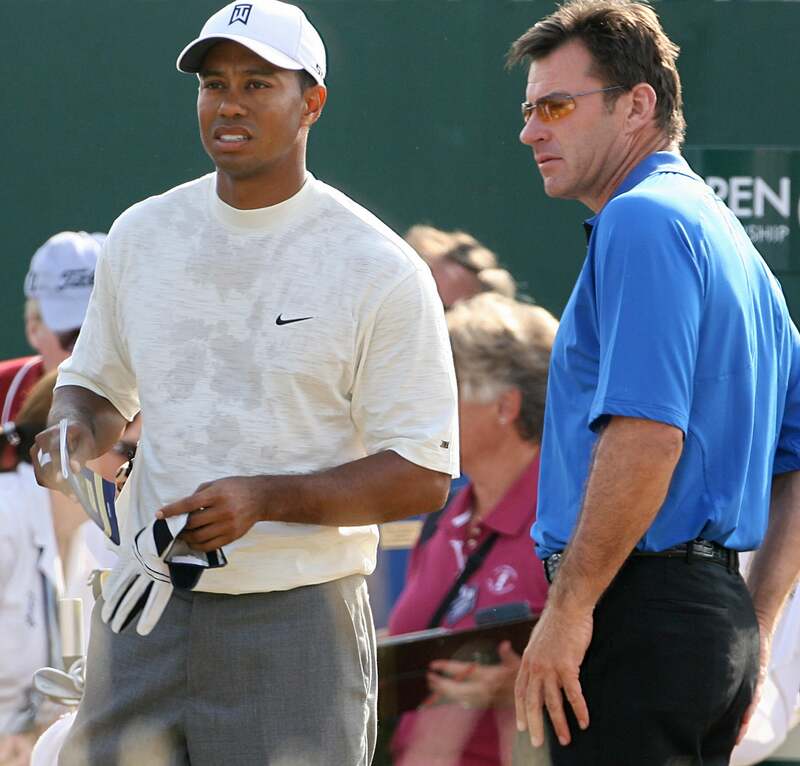 Add Sir Nick Faldo to the list of people who hammered the proverbial nail into Tiger Woods' major-contending coffin. In an interview with OmniSport, the 58-year-old television analyst said it was "really, really unlikely" that Woods could win another major. "For 20 years he played incredible golf," Faldo said, himself a six-time major champ. "In the last five years everything has changed." Woods underwent his second microdisectomy in September after a season plagued by injuries, missed cuts and WDs. He announced that he would return to the PGA Tour well ahead of the 2016 Masters, but at last check-in, was still not swinging a club. His best finish in 2015 was at the Wyndham Championship, where he showed flashes of his old self but finished T10. The 14-time major winner last won on Tour in 2013, and took home his last major title at the 2008 U.S. Open. Faldo said the caliber and youth of today's golfers are too much for Woods to handle; he will be 40 in December. He maintained Woods' greatness though, saying that superstars Rory McIlroy and Jordan Spieth would likely not reach the level of dominance Tiger once did.